Over the past decade there has been an increase in the level of knowledge and awareness and a certain reduction in the stigmatisation of mental health issues. There is also an acknowledgement that we all HAVE a mental health, which can fluctuate from day to day, week to week, year to year in much the same way as our physical health can. I think we are a long way off talking about mental health issues in exactly the same way as physical ailments, but it is certainly moving in the right direction. Certainly, in a generation, some of the stigma surrounding Mental Health has been lifted enabling us to talk more openly about how we feel. I cannot imagine my parents and their friends standing at a bar, or talking over a coffee in a café about their mental health in the way that I do with my friends. To kick off Mental Health Awareness week, we thought we would start by looking at the state of the Mental Health of our nation’s children. The statistics which we have pulled together whilst they are widely reported, are nevertheless alarming. Half of mental health problems are established by the time a child is 14 years old, and it’s thought 10% of children now have a diagnosable mental illness, many more are suffering from mental health challenges. And the wait for treatment and resources to help these young people are being stripped and cut all the time, with some young people waiting a decade for appropriate treatment. New figures released today show that there has been a sharp rise in the number of children under 11 referred for mental health treatment by schools in the last four years. 20% of adolescents may experience a mental health problem in any given year. 70% of children and adolescents who experience mental health problems have not had appropriate interventions at a sufficiently early age. Three in four mental illnesses start in childhood. 75% of mental illnesses start before a child reaches their 18th birthday, while 50% of mental health problems in adult life (excluding dementia) take root before the age of 15. 10% of school children have a diagnosable mental illness. So, in an average class of 30 young people, three will have a mental health problem. Figures show 10% of children aged 5-16 have been diagnosed with a mental health problem. The number of referrals by schools in England seeking mental health treatment for pupils has risen by more than a third in the last three years, according to recent figures obtained by the NSPCC. More than half (55%) of referrals over the four-year period came from primary schools. In almost a third of all referrals, the child in question was denied specialist CAMHS (Child and Adult Mental Health Services) treatment. While, in some cases it might not have been necessary, the NSPCC believes under-resourcing is also a factor. Alana Ryan, the NSPCC policy officer, said: “It is worrying there are so many children being deemed as needing some kind of mental health support and whether or not that is mental health support that meets the clinical support threshold, it’s still a need.” She said even where referrals were accepted, waiting times were often long. The NSPCC’s Childline service has reported a 26% increase in the number of counselling sessions with children about mental health issues over the past four years, with some saying they only received specialist support when they reach crisis point. 75% of young people with a mental health problem are not receiving treatment There’s been a rise in the time children are having to wait to receive treatment for complex mental health conditions, and children with depression and anxiety are often not being identified or given help. The average wait for effective treatment is 10 years. It can take a decade for many young people to receive help after showing first symptoms. Opportunities to help are often missed until they reach “crisis”, causing children to self-harm, become suicidal, be violent and aggressive or drop out of school. More than half of young people link mental illness with alienation and isolation 56% believe that anyone their age diagnosed with a mental illness would be treated differently, and 55% believe they would lose friends.51% of young people believe that anyone their age diagnosed with a mental illness would be embarrassed. The findings from a YouGov/MQ survey also show a high level of mental health problems in students, as more than a quarter (27%) report having a mental health problem of one type or another. Female students are more likely to say they have mental health problems than males (34% v 19%). Just 6% of UK health research spending goes on mental health. This is despite mental health disorders such as anxiety, depression, phobias and post-traumatic stress disorder affecting one in four of the population. UK funding for mental illness research equates to £8 per person, according to research from mental health research charity MQ, compared with £178 per person for cancer and £110 for dementia. Less than 30% of mental health research is focused on young people. Only £26m a year is earmarked for children and young people’s studies, despite 75% of mental illness starting before the age of 18. The lack of investment in children’s mental health means that very little is known about the cause of mental illness, and which treatments are most effective. Although these statistics might seem alarming, it is important to remember that levels of awareness and diagnosis has increased in recent years which has impacted on the figures. What’s also crucial to discuss is that an awareness of our own, and our children’s mental health does not always mean we have a medical diagnosis or “condition”. Simply understanding more about our own bodies and our mind can lead to a better level of self-care and quality of life. The theme of this year’s Mental Health Awareness week is “Stress” and many of our children are sitting exams over the coming weeks and months, known to be a particularly stressful time. But when I meet with the hundreds of children YOGADOO works with each month, although they mention “exams” and “School work” as a cause of stress, the main reasons they are anxious or worried is linked to friendship groups, social media or family pressures. Over the next seven days we will be posting advice and comment on the Mental Health conversation, particularly concerning young people. We will delve deeper into what can be done, and how yoga and meditation can help us increase our resilience in a modern world. If you, or someone you know needs to talk to somebody about mental health issues, the Samaritans can be contacted on 116 123 (six digits). Busy weekend ahead for YOGADOO yogis! It's a busy weekend ahead for YOGAOO yogis, with FOUR fabulous events for you. For families we have a FAMILY YOGA session on Saturday morning and Saturday afternoon, where grown ups have a blissful hour to themselves enjoying a gentle Vinyasa Flow session whilst children have a fun hour of yoga, games and enjoy a mindful art activity. Then we all come back together for an hour of yoga and relaxation together, finishing it all off with a lovely cuppa. Spaces available for both sessions. If you fancy some 'me time' we have our 'Clear the Cobwebs' retreat on Saturday at the Apthorp Centre in Bath. A perfect combination of yoga, essential oils, meditation, a delicious and nutritious vegan lunch, and relaxation. Run by incredible Bath Forrest yoga teacher Bex Bridgford and founder of YOGADOO Lucy Aston. A few places remaining. And on Sunday, we have a VERY SPECIAL event, where children have the opportunity to do yoga with SHARKS, a wonderful yoga class to celebrate Earth Day at Bristol Aquarium 9:10am-10am. A few spaces available. Brand new mini retreat to help you clear away the cobwebs ready for Spring! Book here: We are delighted to announce a brand new day retreat to help clear the cobwebs and prepare yourself for Spring joy on Saturday April 21st at the Apthorp Centre in Weston, Bath. Forrest yoga retreat day - Put a spring in your step and nourish your body from the inside out! This event is run by Forrest yoga teacher, Bex Bridgford and YOGADOO's Lucy Aston. Our retreat day starts with a welcoming drink of raw cacao and an introduction to doTerra oils from the oil bar. This is followed, In true Forrest yoga style, by a two hour practice which is designed to ignite your core, connect you into your pelvis and open your hips. Our workshop will bring vibrancy and energy into the body and remove any dullness and tightness created by everyday issues. Inspired by the phrase ‘the hips are the junk draws of the body’, so we'll use lots of exciting breath techniques as our duster and learn arm balances to literally put a spring in your step. The session will be tailored for all levels, to accommodate where you are in your practice. A delicious healthy vegan lunch will be served, during which Bex will be demonstrating how to make a raw chocolate summer cake and all recipes are vegan, gluten free and free from refined sugar. After lunch we will enjoy a taster of raw chocolates and Bex will give a brief talk on how we can incorporate essential oils into cooking and chocolates. After lunch, our afternoon session we will be having some fun with partner yoga poses with Bex Bridgford and YOGADOO's Lucy Aston. And our retreat will end with a 'Clear the Cobwebs' themed meditation session, guided by Lucy. 11.30 - Welcome, we will enjoy raw cacao shot (the ultimate hot chocolate), and Bex will be demonstrating the benefits of essential doTerra oils and how these can compliment and support our practice. Tickets are £95 (EARLY BIRD rate is £90 until 10 April) which includes a Goodie-bag of self care treats and recipes. Places are strictly limited. Please call Bex on 07966434801 with any questions. COMPETITION: Win tickets to Big Fish Little Fish family rave in Bath! ITTTT'S COMPETITION TIME! Next Sunday, 15th April our friends at Big Fish Little Fish are taking residence at Komedia Bath and they have VERY KINDLY given YOGADOO a Family ticket to give away (for 2 adults and 2 children). In case you haven't heard of Big Fish Little Fish, they are the finest purveyors of quality raves for all the family. Enlisting big name DJs that mums and dads love from days of yore and mixing them up with fabulous fun and games for all the family, they’re our kind of party people. Big Fish Little Fish family ravers and their shipmates bring acid house, techno, house, hip hop, drum ''n' bass for families with 0-8 year olds as part of the 'Around the World in 18 Raves' Camp Bestival warm up tour. Avast ye land lubbers and dance together on a dance floor filled with bubbles, balloons, glitter and topped by the parachute dance! Get nautically crafty on the craft tables and enjoy a bit of sea leave in the baby chill out or play areas. Chance to win a family ticket to Camp Bestival and have fun with their photo booth. Licensed bar for the odd tot of rum. Head over to the YOGADOO Facebook page for more information and to enter the competition before the closing date on Tuesday 10th April at 8pm. In case you'd like to come along, it's going to be brilliant! You can book your tickets here. Headline DJ rave legends 2 Bad Mice, plus residents Little My & High Eight play (grown up) dance music on the multi-sensory dancefloor with glitter cannons, bubbles, balloons and giant parachute dance. Craft tables (run by Louise from The Creation Station) and giant colouring mural, themed crafts and playdoh table. Play area with tents and tunnels and baby chillout space with mats and small ballpool. Licensed bar, free transfer tattoos, and glowsticks. Theme: "Sailing The Seven Seas" - Optional (but encouraged) fancy dress. All things nautical - whatever floats your boat! Big Fish Little Fish events are for families with younger children (8 years and under) though older siblings are welcome. Parents remain responsible for their children at all times. The event is standing/dancing with limited seating. It will be busy with several hundred people and in low lighting (no strobes) conditions. The licensed bar will be open but no glass will be allowed in the event. There is something beautifully enchanting, calming and meditative about watching fish swim through the ocean. We are delighted to announce that award-winning children's yoga company YOGADOO is teaming up with Bristol Aquarium for a very special children's yoga class with a difference. To celebrate Earth Day on Sunday April 22nd, specialist children's yoga teacher and founder of YOGADOO, Lucy Aston will be running a peaceful and calming class in front of a large tropical marine display with floor to ceiling windows at the aquarium. Children will learn fish and ocean inspired yoga poses as they watch Unicorn Tangs, Oriental Sweetlips, Honeycomb Moray Eels, Long Horned Cowfish, Bamboo Banded Cat Sharks, and a Californian Leopard Shark swim before their very eyes. Children will also be led into gentle relaxation, learning some simple breathing techniques as we appreciate the wonders of the ocean on our planet. Spaces are limited to 12 children. Arrival at aquarium reception 9:10am, class begins at 9:15am-10am. Ticket price includes full admission to the Aquarium after the class. No experience of yoga is required. All mats and equipment is provided. Please wear comfortable clothes that children can move in easily. Teachers are fully insured, first aid trained and DBS compliant. Parents are welcome to wait in the cafe area at the aquarium, or come back to the cafe for 10am to collect children after class. Parents will need to book a normal admission ticket if they wish to enter the Aquarium after the yoga class. Ticket price (aged 5-12) £16 (which includes entry to the Aquarium after class). (Please note that any disabled visitors pay will need to purchase a ticket above and if required will gain entry for a free carer). Following this incredibly unique and immersive yoga session, you are welcome to enjoy the rest of the Aquarium. Your Aquarium ticket will be valid all day until closing at 5pm so you can come and go as many times as you like to make the most of this marine inspired experience. For more information about what there is to see at Bristol Aquarium please see the following website: www.bristolaquarium.co.uk or call the Aquarium team on 0117 929 8929. YOGADOO founder Lucy Aston said: "I really can't think of a more perfect place to have a children's yoga class. To be inspired and energised by our beautiful ocean, to watch the fish swimming and playing in the clear waters has an almost meditative affect. Our first ever yoga class at the Aquarium is to celebrate Earth Day, and our children are increasingly aware of the affects of their actions on our planet, especially with programmes such as David Attenborough's Blue Planet. Children will learn lots of fish-themed yoga poses, to stretch and balance their bodies. And work together in some group work as well as enjoying lots of calm, relaxation time as we take lots of deep breaths and watch the fish play." YOGAOO's Lucy Aston will fly to India later this week for a number of exciting projects. Lucy, who completed her adult's yoga qualification in India two years ago is set to return to the same area in Goa for a fortnight of additional training and to run children's yoga sessions for the local community. "I fell in love with India when I visited two years ago, and I have been desperate to go back ever since. To teach yoga to children in the country where yoga all began will be an incredible opportunity. The YOGADOO approach is to teach yoga to children in a fun, engaging, non-spiritual way, without any of the Sanskrit terminology or traditional names for poses, so it should be really interesting." "Whilst I am there I am also going to complete additional meditation and yoga training, and I'll be researching for a couple of projects - more on which will be revealed later in the year. I am also hoping to learn more about Ayurveda which is traditional complementary or alternative medicines. And I am really looking forward to being a pupil myself again for a while! I will spend lots of time practicing yoga." For information about the YOGADOO class timetable over the Easter Holidays click here. 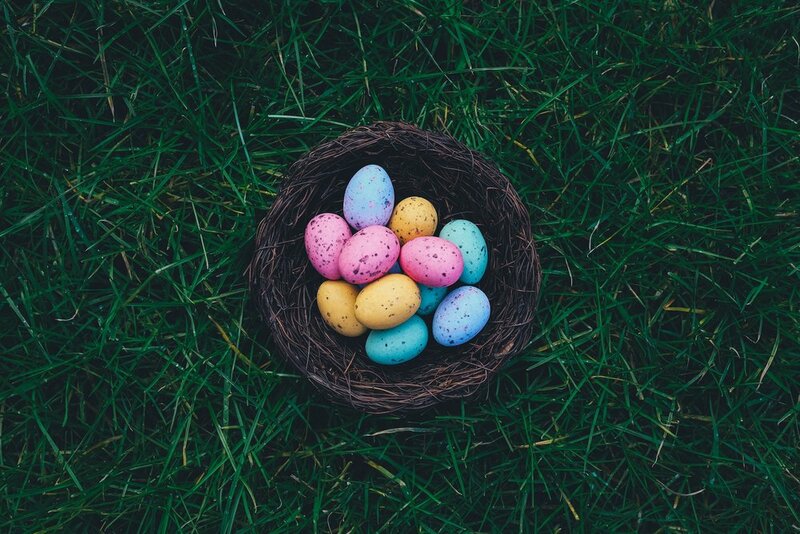 Despite the chilly weather, Spring and the Easter school holidays are just around the corner! There are some changes, and additions to the YOGADOO timetable so please take a look below. THE YOGADOO YOGA BARN IS BACK - BETTER THAN EVER! We are so excited to announce the RETURN of the YOGADOO Yoga Barn, and this year we are thrilled to take residence at our new home at Bath City Farm, right in the heart of Bath! It will be even better than before, with award-winning specialist children's yoga teachers running events from after Easter and on into the summer. We are starting with pre-school sessions running twice weekly on a Wednesday and a Thursday, but other exciting events are planned for adults and children - watch this space! We start with sessions every Wednesday & Thursday for pre-school aged children & parents or carers, from 18th April for six weeks (£6 per session, bookable in a 6-week block) each week has a different theme connected to life on the farm. All sessions last 1 hour and have a maximum of 6 spaces. Book Wednesdays here and Thursdays here. Children will practice yoga poses and enjoy some all important relaxation time, listening to the sounds of the farm, breathing some wonderful fresh air, as well as learning more about their environment and farm life. Bath City farm is a non-profit organisation situated on a beautiful 37-acre plot in Bath, with a play park, animals, walking trails, farm shop and cafe. 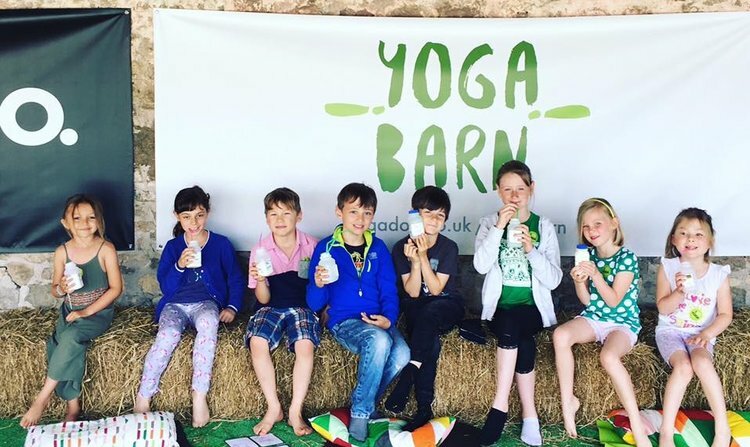 At the YOGADOO Yoga Barn @ Bath City Farm Club, children can practice yoga and relax, whilst learning more about life on the farm. Address: YOGADOO Yoga Barn, (next to the café) Bath City Farm, Kelston View, Whiteway, Bath BA2 1NW. Sit back, get cosy up under a blanket, light a candle, boil up a scrummy hot chocolate and get ready to HYGGE. We are so excited to announce our competition to win TWO tickets to this Sunday's sold out FINAL HYGGE YOGA mini retreat of the winter at Combe Grove Hotel, just outside of Bath. 1) Like our Facebook page/Follow us on Instagram. 2) Like our competition post. 4) Comment below the post with your FAVOURITE thing about Hygge, is it the candles, the walks in the crisp fresh air, is it the comfort food, is it the cosy blankets or real wood fires? Or maybe your have another suggestion. And wait.... The competition closes 6pm on Friday. The winner (from a combined entry of Facebook and Instagram entries) will be announced at 8pm on Friday. We will also give away FIVE pairs of Hygge Yoga leg warmers to five runners up. One winner will be picked at random, YOGADOO teachers and their families are not eligible to enter. No cash alternative or transfer will be offered, the winner must be able to attend this Sunday 18th March. Only one entry per person. The winner may transfer the prize to another person and their guest. YOGADOO is running Easter Holiday Clubs at our usual home, Weston Methodist Church in Bath. We are running clubs every single day (apart from the Bank Holidays) and our first date has just SOLD OUT on Tuesday 27th March. Each day focussing on a different element of nature and our planet as we celebrate the arrival of warmer weather, new life and our natural surroundings changing with the seasons. Our wonderful teachers Ty Newton, Alice Denning and Emma Reynolds are running the holiday clubs and every day is totally different with yoga, relaxation, games, fun and arts and crafts. YOGADOO is set to feature on the local BBC television, BBC Point's West this week (Friday 16th March). BBC Presenter, Imogen Sellers visited High Littleton Primary school where YOGADOO founder and teacher, Lucy Aston is running a weekly yoga and relaxation session for year 5 and year 6 pupils who are preparing for their SATS exams. YOGADOO has also recently tipped over the half century of schools in which we are working in some way with either teachers or pupils. The report is due to be on BBC Points West on Friday 16th March at 6:30pm. Presenter, Imogen Sellers interviewed YOGADOO's Lucy Aston, some of the High Littleton pupils, and the Primary schools' Deputy Head, Ian Gunning. Lucy Aston founder of YOGADOO: "The pupils are High Littleton have been learning really practical ways to relax their bodies and focus their minds, through yoga, breathing and relaxation techinques Of course, these will help the pupils to learn to calm their minds and focus in school but are also vital life tools which will hopefully stay with forever. 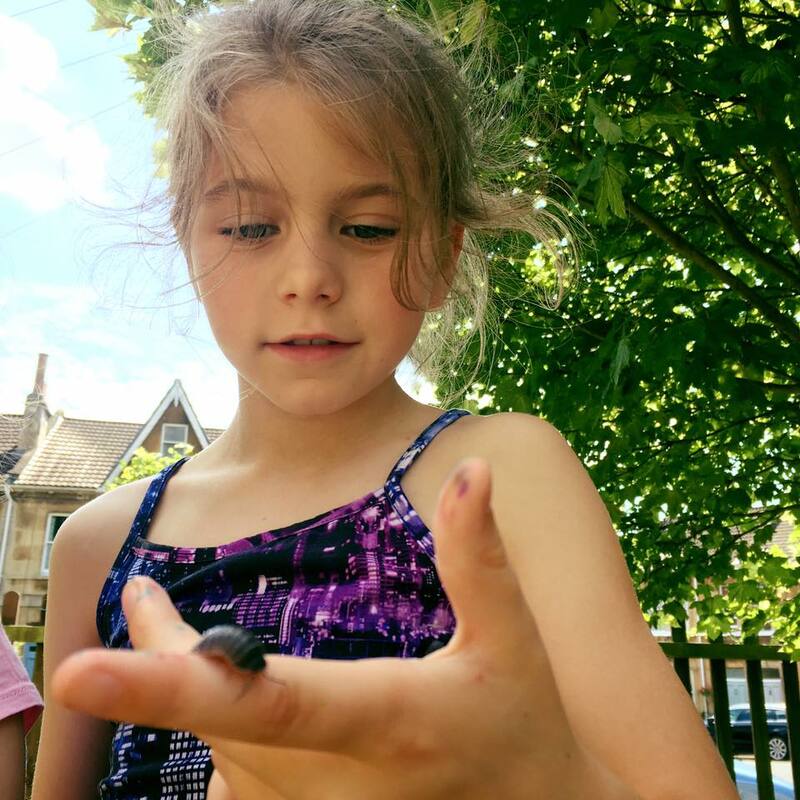 High Littleton have invested in ten weeks of YOGADOO sessions for their pupils and the children are already responding incredibly positively." We are looking forward to seeing you all this weekend for our first YOGADOO FAMILY YOGA session of 2018 - The theme for our session is LOVE! Our afternoon session has now sold out, and there are a few spaces left for the morning - book here. It's our first YOGADOO Family yoga session of 2018 on Saturday 24th February. There is a morning slot (11:30am-1:15pm and afternoon session 2-3:45pm) You are booking the morning session. Tickets for the YOGADOO Yoga sessions are £22 which covers one adult and one child (aged 4-12 years) Extra children may be purchased for £8. Spaces are limited. Then grown-up and child(ren) are reunited for a Parent and Child yoga session, working together on partner poses, helping each other to balance and having fun through practicing yoga together! At the end of our yoga sessions, mum and child(ren) will enjoy a snack and a well-earned cup of tea, coffee or juice. This YOGADOO Family yoga session is for children aged 4+ years. There's no need to bring your own mats as they are all provided, but you are welcome to bring your own if you prefer. Just wear comfortable clothes that you can move in easily. Address: Weston Methodist Church, access from Newbridge Hill. Parking is available on Chelsea Road and surrounding streets, there is a bus stop just outside if you are able to use public transport. We are looking forward to seeing you on Saturday! Yoga and Pilates top the list as the best all-round exercise for those with conditions such as stress, anxiety or depression, osteoporosis, arthritis, asthma, and high blood pressure. A new survey from Patient.info, of nearly 300 GPs and health experts has revealed which forms of exercise doctors recommend if you suffer from any of the seven most common chronic health conditions in the UK. Yoga and Pilates most consistently came out as one the most best form of exercise to help reduce the symptoms of some of the UKs most common conditions including, stress, anxiety, depression, high blood pressure, osteoporosis, arthritis, Parkinson’s, and also asthma. Dr. Sarah Jarvis MBE, GP and clinical director of Patient.info, commented: “Doctors agree that yoga and Pilates can be beneficial for many conditions. Both activities are low-impact and gentle, and can help to reduce blood pressure, ease stress, and strengthen the muscles which support the joints. Our survey showed that GPs and health experts would prescribe Yoga and Pilates as the number one form of exercise for people with a range of different conditions, including Asthma, high blood pressure, osteoporosis, arthritis and Parkinson’s. YOGADOO founder, Lucy Aston added: "One of the most attractive parts about yoga for me was its accessibility. Even before I trained as a yoga teacher, I loved the fact that I could roll out my mat at home, in my pyjamas if I liked! and start moving and focusing on my breath. Of course it is important to have a mindful practice and to be aware of how we are feeling in any particular moment, on any particular day. Both in our physical body but also in our mind and not push or compare ourselves to anyone else. It is our practice. But it does mean that even with a fairly serious medical condition, if you have spoke to your GP or specialist who has given you the green light to practice yoga, you can enjoy the gentlest of stretches or simply connecting with your body through your practice." Lucy added "That is another reason why yoga is so good for us, especially children is its non-competitive nature. You don't need to be against anyone, you are not part of a team, it is all for you. Yoga is a crucial weapon in the armoury of self care and self love." Introducing our new teacher, Emma! YOGADOO is delighted to add another fabulous specialist children's yoga teacher to our team. 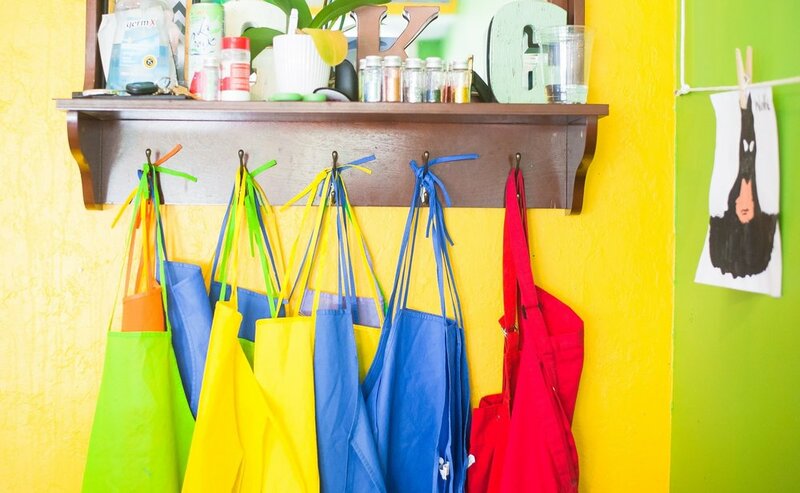 Bath-based Emma Reynolds has worked with children for thirty years starting her career as a Montessori teacher and nursery nurse, running a small Montessori school before having her own children. Emma has a vast experience in working with children with special needs having taught in both special needs and mainstream settings and has worked as a SENCO. Having practiced yoga most of her adult life Emma has seen the positive impact it has had on her own children's physical and mental well being. Her passion to share her knowledge led Emma to complete the Special Yoga for Special Children course. She is also a qualified children's yoga teacher through Rainbow Kids, where she trained at the world-famous Pineapple dance studios. YOGADOO will be announcing some special events in the coming months for children who have special needs and specific challenges, so please make sure you are signed up to our newsletter via the bottom of the YOGADOO homepage. After shadowing for a number of sessions, Emma is running her first YOGADOO Holiday Club this Friday which is celebrating the Chinese New Year. Emma said: "I absolutely love working with children, and I am passionate about how yoga can help young people with all different abilities, in so many areas of their life. YOGADOO makes yoga accessible to everyone and I can't wait to meet the YOGADOO mini yogis very soon." YOGADOO is growing! If you are a specialist children's yoga teacher or mindfulness practitioner we would love to hear from you. Our teachers are working in over 50 schools across Bath and Bristol and we have lots of exciting events coming up over the next few months so we are looking to expand our award-winning team. Please get in touch with lucy@yogadoo.co.uk if you'd like to find out more. The Winter Olympics start today (Friday 9th February) in PyeongChang in South Korea so we've put together our top twelve Winter Olympic themed yoga poses for children or grown ups, we hope you enjoy! And thank you to YOGADOO founder, Lucy's son Freddie for modelling the poses! We have put them together in a little flow, but you can do them in any order you like. Try and take three deep breaths in each pose if can. You can do both sides (legs) of the standing poses as you go along - pose by pose, or after you have done all of the standing poses (Eagle, and Snowboarder to Figure skater) you can repeat that part of the flow. We start in mountain pose, take some lovely deep breaths imagine you are breathing in some ice old mountain air. When you are ready cross one leg over the other (tucking your foot round the back of the leg if you can) cross your arm over the other and gently bend your knees -turning yourself into Eddie the Eagle pose (He was a famous Ski jumper - take a look here). Next bend from your hips into a gentle forward bend for Ice Hockey players, swinging your arms from side to side if that feels good. When you are ready step back into a super-cool snowboarder (Warrior 2) with your front foot facing forward and you back foot out to the side. A few deep breaths here and then bring your back foot to face the front, bend your back knee and lift your arms up to the sky - this is a high lunge or speed skater pose. When you're ready, put all of your weight onto your front foot and bring your back foot up to your bottom. Get your balance and take your arm out in front and push your foot into your back hand and open up into figure skater (or dancer pose). If you are going to repeat the standing poses to stand on the other foot this time, then do this now. When you are ready, bring both feet together (slightly apart) gently bend your knees and bring your arms out in front for skier pose - imagine you are speeding down a snowy mountain. Then drop to your knees and spread out on the mat lying on your belly. Taking your arms out behind you, gently lift your belly off the mat for Skeleton bob pose, when you are ready try and grab your feet and lift your body off the mat a little more, (only if it feels ok) for Ski jumper pose. Next roll on to your back and sit up tall, gently breathe in and take your arms above your head, and as you breathe out take your hands towards your feet with a gentle forward bend for Bobsleigh pose. Finally lie on your back with your legs in the air, gently waving your feet like a flickering Olympic flame, maybe try and blow it out with some big, deep breaths. After all of that Olympic excitement, it is time to lie down for a rest in luge pose. Lie as still as you can and take some nice deep breaths (maybe 10 or 15) as you think about a beautiful wintry, snowy scene. And relax. From week commencing Monday 12th February there will be no YOGADOO adult classes as it is half term and we are running Children's Holiday clubs. Classes start back again on Monday 19th February. Please note the Monday evening classes have merged into one class at 6:30pm. Enjoy your rest and see you soon. At the start of March. YOGADOO founder and yoga teacher, Lucy Aston will be pounding the streets of Bath with thousands of others to run the Bath Half Marathon. This year, she is raising money for a special Bath based charity, Mentoring Plus. They provide mentors to help young people across the Bath area. YOGADOO has been lucky enough to run yoga sessions for some of the young people supported by the charity, and furthermore Lucy is a proud Patron of the charity. The money she raises will train and support adult volunteers to mentor 7-21 year olds, needing extra support with family, education, emotional needs and employability. We need the help of our community to look after our young and most vulnerable. You can sponsor Lucy here. YOGADOO runs Yoga for Runners classes every Wednesday, 6:30pm-7:30pm at Weston Methodist Church, Bath - the class is taken by Lucy. This week (from Monday 5th February) is Children's Mental Health Week and YOGADOO is getting involved with the national conversation during the week. This year's theme for the campaign is #BeingOurselves. Over the last year, YOGADOO teachers have taught thousands of children in schools, after school clubs, holiday clubs, pop-up yoga classes and other events. We've been asking them what makes you unique? What makes you special? What makes you, you? We've loved noticing how we are all so very different and at YOGADOO we celebrate being ourselves every single day. Yoga is so amazing for learning more about our bodies and our minds. Sometimes just sitting still, stopping and watching how we are breathing can help us to notice how we are feeling in that particular moment. It can also give us time to learn more about who we are, and what makes us unique. So over the past year, we've collected some lovely pictures and thoughts from our YOGADOO yogis about why they love what makes them unique. (Thank you to all the fab grown ups for giving us permission to use the images) We'll be adding more every day and we hope to have over 50 by the end of the week. If you'd like to add yours to our gallery, please email a picture and a sentence about what makes you unique to hello@yogadoo.co.uk or share with us on social media with #YOGADOOpostcard. 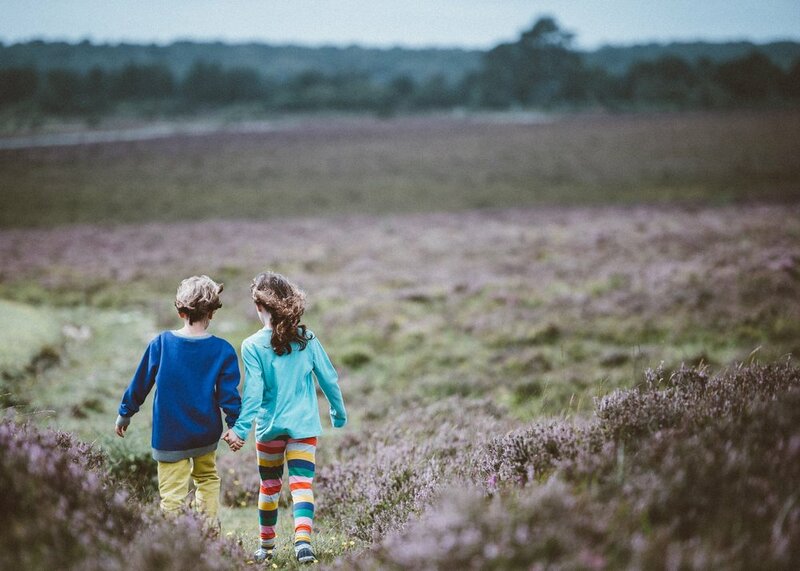 YOGADOO founder, Lucy Aston will be sharing blogs and thoughts and videos all this week to celebrate Children's Mental Health week, take a look at the blog here, or follow Lucy on instagram here. YOGADOO Family Yoga day, Saturday 24th February! Tickets for the YOGADOO Yoga sessions are £20 which covers one adult and one child (aged 4-12 years) Extra children may be purchased for £8. Spaces are limited. (Meanwhile....) Your child/children (aged 4-12 years) will be in a nearby room having a yoga and relaxation craft session, led by a specialist YOGADOO children's yoga teacher. At the end of our yoga sessions, parent or carer and child(ren) will enjoy a snack and a well-earned cup of tea, coffee or juice.